Home » Software » Utilities » Get System Mechanic 18.5 Activation Key with 6-month license for free! ExpiredGet System Mechanic 18.5 Activation Key with 6-month license for free! A comprehensive PC utility tool! System Mechanic 18.5 is a comprehensive PC utility tool that provides everything you’ll need to clean and speed up your PC, fix system problems and protect your privacy. Now, you can get System Mechanic 18.5 Activation Key with 6-month license for free and use it full version freely! You may read that they offer v18, but actually, you will get the latest version of System Mechanic 18.5. Download it & activate the full version with the activation key you’ve got. Enjoy the full features! Introducing, The ultimate iolo product, Phoenix 360, The most innovation product by iolo includes an easy-to-use protection, privacy, and performance suite. 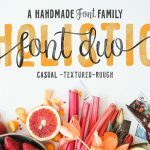 90% Off Holistic Font Duo with Extended License - 6 handmade fonts that work great together! 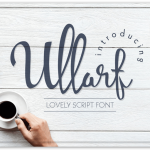 Free Font: Ullarf by leamsign - a lovely script font with a commercial license!